Our attendance at the Drive Electric Northern Colorado launch event was pending a serious review of road conditions, as 10” of white fluff had fallen the night before in the Denver area, and the drive was certain to be arduous. Our eagerness and excitement won out, and the sun decided to join us on our trip up to Fort Collins for what turned out to be a great event! When we arrived at the Museum of Discovery in Fort Collins, we were surprised to see the snow had done little to deter attendance—in fact, we had a hard time finding parking amongst the impressive turn out of plug in electric vehicle (PEV) supporters that came to learn about the installation of Colorado’s first DC fast charger and the DENC project. After some coffee and light breakfast snacks, it was standing room only as we listened to remarks from Robbie Diamond, CEO of the Electrification Coalition, former Colorado Governor Bill Ritter, the Mayors of Fort Collins and Loveland (Karen Weitkunat and Cecil Gutierrez, respectively), and Ron Sega, former astronaut and current President of CSU’s Energy and Environment program. The speakers focused on the importance of electricity in our transportation future, and how DENC will unite Northern Colorado’s municipalities, businesses, organizations, public, and politicians around an energy source that promises greater energy security, lower operating costs, environmental improvements, and economic vitality for the region. After all of the speakers had concluded their presentations, we ventured outside to see the new DC fast charger alongside the Level II charging station. The DC station is capable of charging a Nissan Leaf to 80% capacity in 30 minutes, and publicly available fast chargers like these are essential to combating the range anxiety that prevents widespread adoption of PEVs. One important element of a PEV-ready community is the adoption of a charging infrastructure that will build the confidence of PEV consumers as vehicle battery ranges continue to increase. The shovels and helmets that were used to ‘break’ ground on the project were delivered in an all-electric FedEx delivery truck that was on display alongside several PEVs available to provide attendees ride and drives. After the formal announcements were over, attendees stuck around to network, share stories, and experience an electric vehicle first-hand through available test drives. DENC is a monumental step toward identifying Northern Colorado, and the entire state of Colorado, as electrification leaders, and having such a large turnout for the event signified the community’s excitement and commitment to the future of transportation. DENC serves as a prime example of how local communities can recognize the benefits of PEVs and act to foster their adoption. As outlined in the Project FEVER report, which is a Colorado specific readiness plan for the adoption of electric vehicles, “States and local government agencies with policies conducive to PEVs and electric vehicle supply equipment (EVSE) are more likely to attract investors, OEMs, and consumers.” Once more local governments like Fort Collins and Loveland realize the municipal benefits that come with creating a PEV-conducive environment, they can work together to “include a streamlined permitting process, clear planning guidelines, and supportive ordinances and codes,” that will simplify and hasten PEV adoption in their communities. A project like DENC has attracted all of the relevant stakeholders to the table, and the successes that come from these collaborative partnerships will serve as an example that other communities will certainly follow. 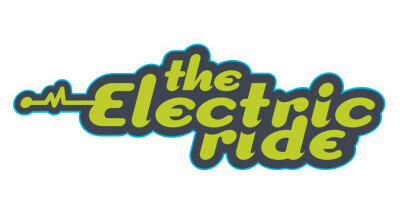 For more information on electric vehicles in Colorado or to view the Project FEVER final report, please visit www.electricridecolorado.com.